Tracking clinician activity has long been a challenge for home health agencies due to errors and fraud. 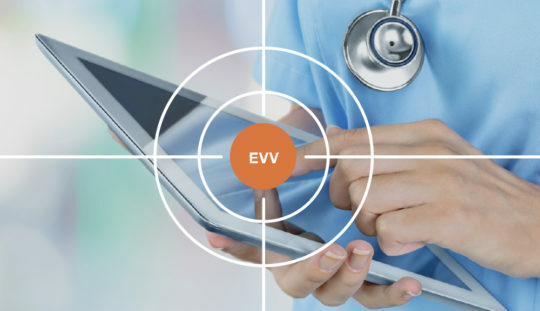 Our approach is simple: Create workflow automation that incorporates both EVV alerts and captured data at the point of care into the integrated Brightree clinical applications. This puts electronic proof directly into the workflow, making users more productive than agencies using paper or third-party, disconnected tools. Read our ebook, Electronic Visit Verification: The what, the why & the how, to learn more.